The history of the estate began in the early eighteenth when Dominique d'Armailhacq bought the vineyards at a place called "Mouton" or "Sheepö. Dominique d'Armailhacq developed the vineyard and renamed it "Mouton-d'Armailhacq". His new neighbour at Mouton, Baron Philippe de Rothschild, acquired the vineyard, calling it "Mouton-Baron-Philippe" in the late 50s. Today, his daughter Baroness Philippine is in charge of the estate. 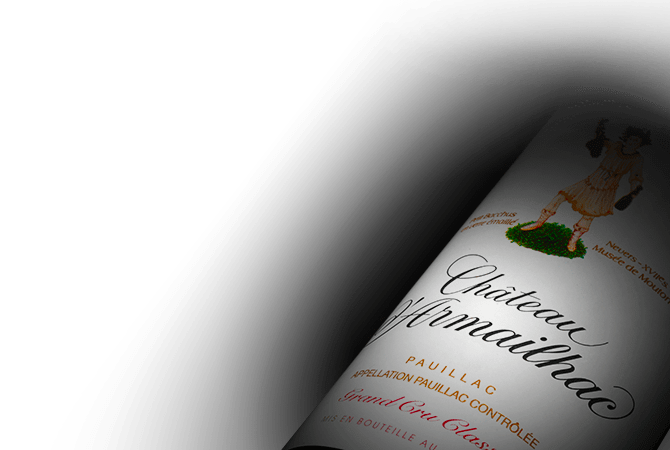 In 1991 she decided to rename the estate "Chateau Armailhac" written without the final q.